Toyota and Arctic Trucks have teamed up and revealed the Arctic Trucks Toyota Hilux AT35 at the 2018 Commercial Vehicle Show in Birmingham. The new model coincides with the celebration of 50 years of the Toyota Hilux. The AT35 will be on sale in the UK and is available to both commercial and private buyers. It will also come with the same five-year/ 100-mile warranty as the other Hilux models. 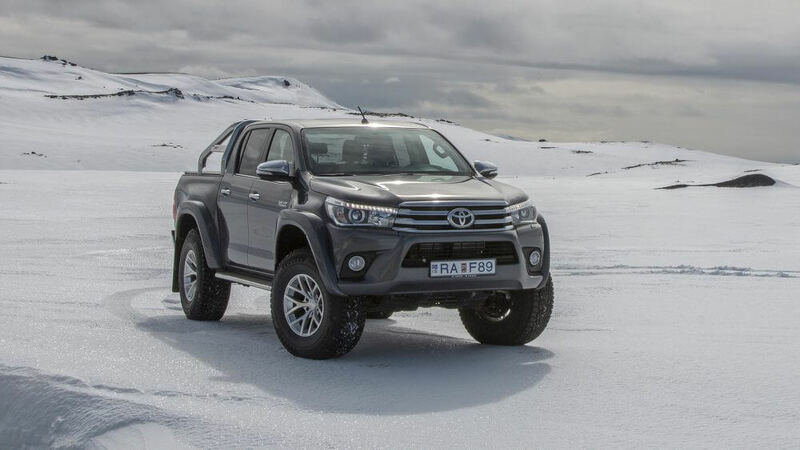 Both Toyota and Arctic Trucks have broken world records, established multiple world-firsts in both the Arctic and Antarctic and have achieved recognition for supporting BBC Top Gear's epic expedition to the Magnetic North Pole. The award-winning Toyota Hilux is known for its reliability, toughness and capability and have played a huge part in the lives of farmers, fencers, road gritters and builders. Back in March the Toyota Hilux won the Working Pick-Up of the Year award from the Professional Pick-Up and 4x4 magazine. One of the judges said: "The Hilux has been long regarded as the no nonsense workhorse, and this continues into the latest generation with the fantastic residual values, a 3.5-tonne towing capacity and its highly regarded build quality and durability. However, it didn't just impress in terms of productivity and capabilities; the jury also made a note of its comfortable ride and handling on the road." With the characteristics of the Hilux considered, the AT35 has become the first choice in transportation for scientists, explorers and adventurers who need a vehicle that will safely bring them to and from remote locations. 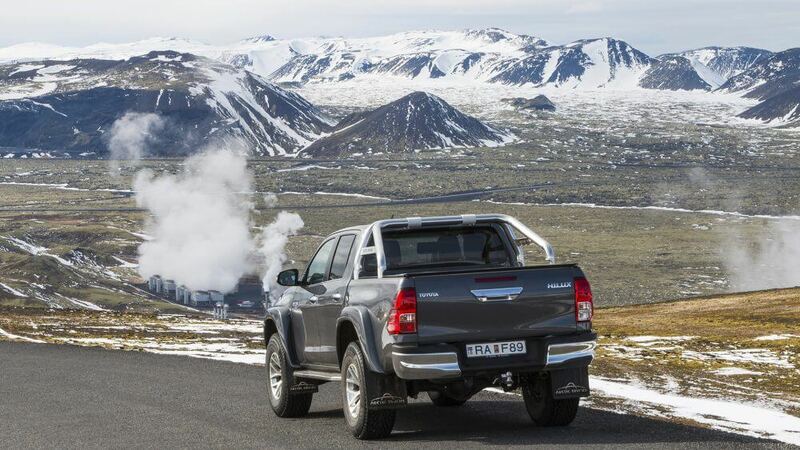 Patrik von Sydow, CEO of Arctic Trucks International, said: "We're excited to bring the AT35 version of the legendary Hilux to the UK. The model is already successful in other countries, so it was a natural decision to develop and launch the vehicle for the UK market."